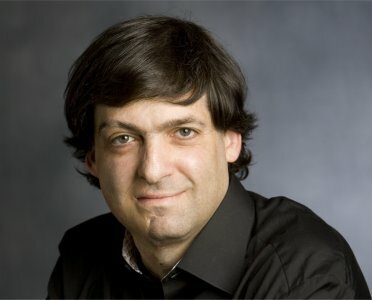 Dan Ariely is most recently the author of The Upside of Irrationality. Condition of Mr. Segundo: Looking about for Dichter’s egg. Correspondent: The question is whether or not there is some kind of maximum threshold. An escalation of that one item that makes something unique before we realize that it’s really a ruse. Ariely: I don’t think so. I think that we’re actually going the other way in terms of society. A long time ago, we had to hunt and spend time finding food and cooking and so on. And right now, you can do it in thirty seconds. So what do you do with the rest of the time? I think we get conceptual conception. I mean, we’re still occupied with consumption. But it becomes much more about the idea behind it right now rather than the thing itself. You know, we can get enough food. That’s no problem. It’s about: what does the food mean and what do the clothes mean and the vacation that we get. And so on. As we strive more for meaning and ideas and stories, I think that actually we get more and more involved in this aspect of loving what we create. By the way, I also think this has a lot to do with how things turn out in the housing recession. As the housing market was going down and down and down, Zillow — the website — they did a survey that asked people, “Have houses in your community lost value?” People said yes. “Has your house fallen in value?” And people said absolutely no. And I think that the reason is that we have our own house and we’ve tailored it just to ourselves. So we put much of ourselves into it. And we expect other people to value it. Maybe not as much as we do, but to a much larger extent. So people become immune from thinking that other people don’t see things in the way that they do. Correspondent: We’re talking about that interval between social norms and market norms. Obviously, you’re dealing largely with behavioral economics. But in this case — like, say, a home — we almost have a social and a market norm. And so, as a result, it becomes a dicey proposition when we’re trying to analyze why people place this extraordinary value on their own particular possessions. Because it may not necessarily be interpreted — at least from their perception — as a possession. Ariely: Yeah. So housing is complex. Again, it’s one of those things that, when you try to get people to think about the house from the perspective of the market, they have a hard time. First of all, they are connected to the price they bought the house at. It’s irrelevant, right? It’s irrelevant how much you bought the house versus how much you can sell it for. But people get attached to it. But on top of that, I talked with many real estate agents. And they say that when they get a seller to express a price, if they get an offer that is way too low, they take it as a personal offense. Ariely: It’s not a personal offense! But, no, people really get upset. Correspondent: Well, you were upset when they did the same to your house. When you had taken out the walls and they asked you to put them back in so you could sell the home. Ariely: That’s right. So assuming that I did lots of changes to a house and made it just so — so we loved it — lots of other people loved it as well, but didn’t want to live in it. And eventually what we did was we put some walls back. We changed some of the beautiful things we’ve done for our purposes. And actually so many people wanted to see it afterwards then. All these changes. It was really heartbreaking. Correspondent: But there’s also an interesting irony there. About something that you’d customized. Correspondent: It becomes off market. Ariely: The unique taste that you have might also make the house less valuable. Ariely: But it’s very hard to see it. Because if you like blue, it’s very hard for you to understand that people might not like blue windows. Or blue something. Especially if you spend lots of time and energy on it. And you do it just so. It’s really hard to imagine. I mean, I can tell you as somebody — so I wrote a couple of books. It’s the same thing. I invested a tremendous amount of effort and energy into those things. And if somebody doesn’t like them as much as I do, I don’t understand how can that be. Right? I expect everybody to love these books. In fact, in my view, they’re better than any other book in the world almost. Ariely: But once you invest so much effort, you get blinded to the projection of other people. Correspondent: But how does humility factor into something like this? Just from a scientific standpoint. I mean, I don’t think you really believe these two books are the best books in the world. Correspondent: I’m going to have to break it to you. You know, if I had a choice between your book — which is great! Correspondent: I would choose Ulysses over that. No offense. Ariely: Well, talk to my mother.